Over-ambitious, yet thoroughly enjoyable, rendering of Ken Kesey’s classic novel. 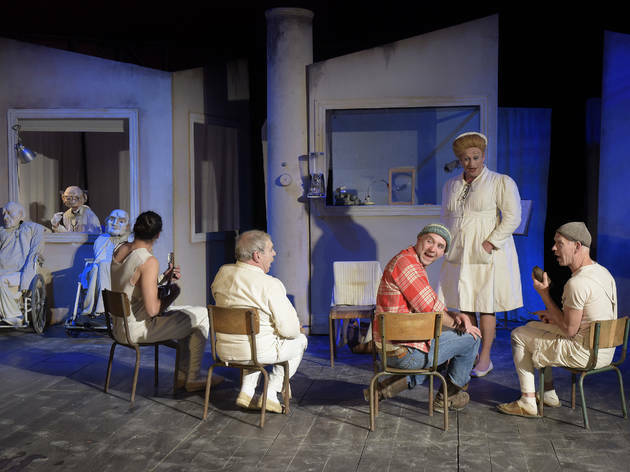 They may have just celebrated their 45th anniversary but the Cornwall-born Footsbarn theatre company continues to grow and evolve with the times, as their production of Nid De Coucou (Cuckoo’s Nest) proves. 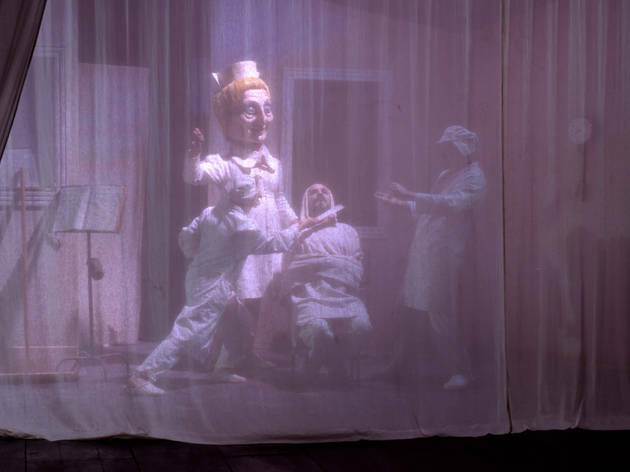 Loosely based on Ken Kesey’s original novel, the play unfolds in a psychiatric hospital under the rule of manipulative, despotic nurse, Miss Ratched (writing this in January 2017, it’s hard not to think of a certain floppy-haired, recently-inaugurated world leader…). That is, until renegade newcomer Macmurphy (Tony Wadham) rolls in like a massive, cockney wrecking ball, inspiring his fellow patients with an anti-authoritarian attitude and inspiring audacity in the face of Miss Ratched’s tyranny. 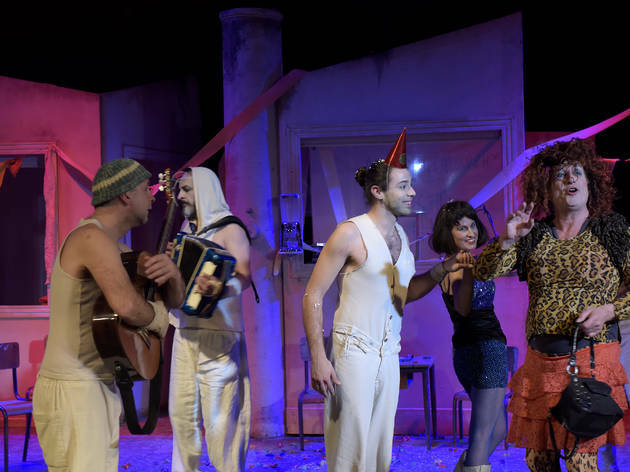 Wadham’s performance is suitably electrifying, bringing an infectious energy to the role, while Andre Julio Teixeira’s Billy Bibbit is perfectly endearing, arousing the audience’s protective instincts. 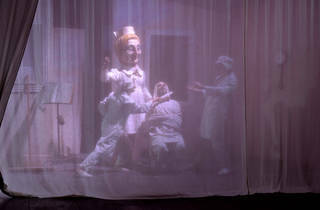 Special mention, however, goes to the audio-visual, set design and special effects teams, their skills combining to create an otherworldly, spine-tingling, immersive atmosphere: cinematic projections swirl and flutter across the stage, man-size patient-puppets add to the play’s carnivalistic feel, and music is used to great, eerie effect. 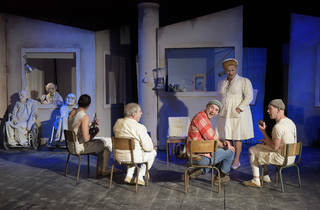 However, with such a busy stage, the francophone-anglophone nature of Footsbarn’s ambitious production may be a step too far - a very good grasp of both French and English is required in order to completely follow the plot. 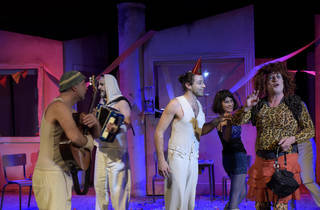 All in all though, an enjoyable, raucous and ultimately poignant rendering of Kesey’s most famous work.